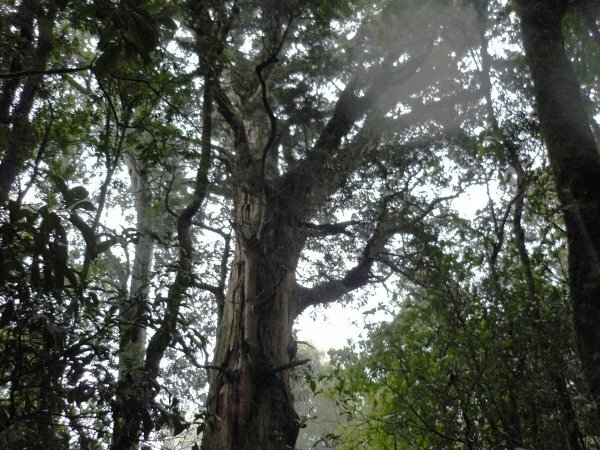 A large totara, featured as Tree No. 57 in Burstall and Sale's "Great Trees of New Zealand". Located in A'Deanes Bush Scenic Reserve, a 38.5 ha reserve with approximately 15 ha of remnant native forest. The reserve was given to the Deptartment of Lands and Survey in the 1970's after being preserved by the Ashscott (later A'Deanes) family who settled the region in 1854. Dr Patrick Grant notes that the bole of the tree is hollow, and the age of the tree is 450 years (the age of other large podocarp trees in the reserve) or older. Burstall and Sale recorded the tree measurements at follows: 265 cm dbh, 34 m high, with a 14.7 m bole. 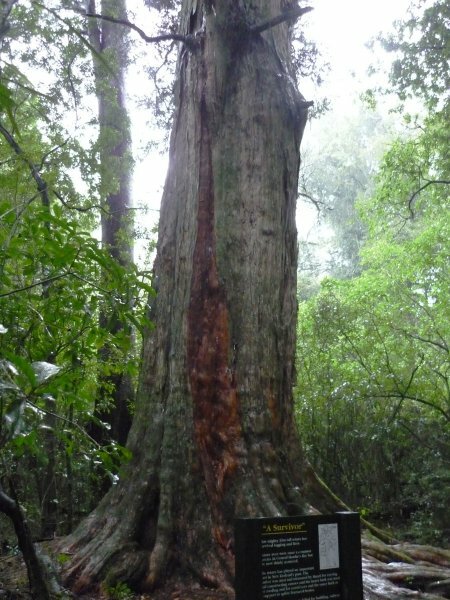 Grant recorded the measurements as 295 cm dbh and 27 m in height, with a 12 m bole. A signpost at the tree states the height as 33 m (Smillie 2011). Straight shot further along the track to an obscured top in difficult conditions. Slightly suppressed on one side by a neighbouring tree. About 5 minutes walk from the signposted carpark. Follow the left hand side of the loop track to reach the tree sooner.